Belle Époque Film was founded in 1969 by Tiziano Biasioli and it started working in the area of sports cars, realizing in first place photo features, and then dozens of films in 16 mm for cars companies, technical sponsors and televisions such as: Fiat, Lancia, Mazda, Michelin, Pirelli, RAI, the TV program “Grand Prix” broadcasted by the TV Channel Italia 1, the National Spanish Television etc. From 1977 to 1992 Belle Époque Film realised for the Fiat Auto company all the films of the World Rally Championship, which would immediately be shared to the Fiat-Lancia dealers and to the televisions spread all over the world. With “Rally is Lancia” and “Delta Wins” Tiziano Biasioli won twice the International Festival of Sports Cinema of Torino. From the mid 80s Belle Époque Film extended its activity beyond sports to produce industrial, commercial and tourist films characterised by the dynamism and imagination derived from the experience of shooting the sport events. The shooting are typically cinematographic with constantly new and subjective frames, and details which permit to "enter into the subject" and to keep constantly alive the viewer’s attention. 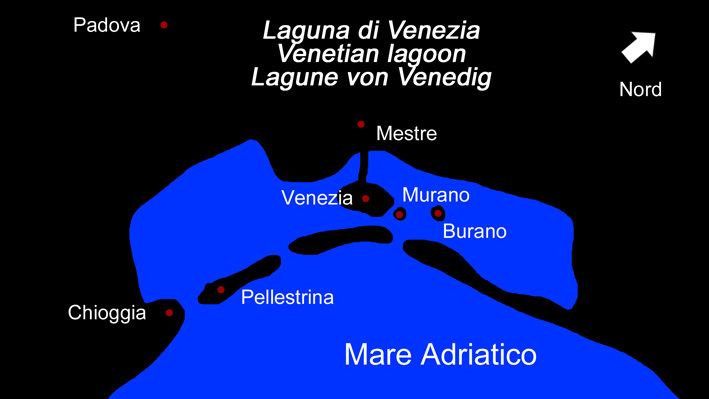 In 1997 Belle Epoque Film was financed by the 16:9 Action Plan of the European Union in order to realize 8 documentaries in the new (in those years) TV format, the cinemascope – widescreen: Murano, Burano, Pellestrina, Chioggia, Colli Euganei, Dolomites, History of the Gondola, How wonderful is youth! In 1999 Belle Epoque Film produced a three-hour documentary in view of the Jubilee of 2000 about the streets followed by the pilgrims during the Middle Age: “the Francigena Road”, 1800 km from Canterbury (GB) to Rome. In November 2001 Belle Epoque Film organized in the Caffè Pedrocchi in Padova an important exhibition of photos and a projection of videos about the “Colli Euganei”, a four days event which brought visitors from all over Italy and a good influx of foreign visitors too. In December 2001 - January 2002 Belle Epoque Film organized in the Caffè Pedrocchi in Padova “Veneti in the world”: a Photo Exhibition about the emigration from Veneto. The Exhibition would subsequently be presented in fifty cities and towns of Veneto. In Canada, in October 2003, in the Italian Centre in Montreal “Leonardo da Vinci”, is presented the Photo Exhibition “Veneto Today”. Belle Epoque Film showed the industrial, artistic, and cultural reality of Veneto. Subsequently the Exhibition would be presented in the Associations of Italian Emigrants in Canada. In the following years Belle Epoque Film carried out for Regione Veneto a series of films “Veneti in the world” with videos, interviews and prestigious histories of Italian people in Australia, Canada, USA, Europe and Brasil. A product of great interest is the film “The three souls of Padova”, carried out for the Padova’s Councils. It describes very well the city in three chapters: Art and Culture, Services, Quality of life. In 2006 Tiziano Biasioli got the title of “Strapadovan 2006 - Master of showing with films” with the following reason: “For having contributed with his passion and consolidated work to the art of making film and to promote the image of Padova in Veneto and beyond, carrying out wonderful films made to offer accurate and refined visions of ours territorial realities”. In 2008 and in 2009 Belle Epoque Film made a series of films about the most prestigious brewery of Belgium, Holland, Germany, Austria, and Italy , made for the Interbrau, importer of beer, and some DVDs about the cycle routes of Valsugana (VI and TN) and about the “Hills of Prosecco Wine” (TV). The 28th December 2008 Belle Epoque Film won the Gold Medal at the Contest for the Prize-giving of Work and Economic Progress, organized by the Chamber of Commerce. The 26th of March 2010 Tiziano Biasioli received from the Journalists Association, the silver medal for his 30 years of activity. In these years he broadcasted also a collection of tourist-cultural DVDs about the Railways in the world (Locovideo). In 2010 and 2012 Belle Epoque Film carried out cultural movies about ancient mills and churches for the Ladino Institute of Val di Fassa (TN), and also institutional movies for the “Dominio di Bagnoli”, a winery of the Borletti’s family. Belle Epoque Film at the moment is planning an important documentary about the testimony of the Republic of Venice in the Mediterranean Sea and on the land, a movie shot in seven countries. In June 2011 in the University of Ferrara by the Faculty of Arts, Tiziano Biasioli graduated in the course “Technology of Communication audiovisual and multimedia” discussing the graduation thesis “Tresigallo, city of foundation”, or rather, from the Bauhaus to the rationalistic architecture.